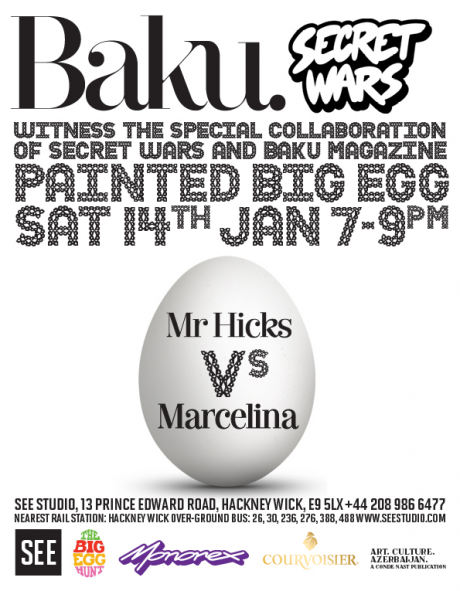 Tomorrow, Baku Magazine and Secret Wars are staging a graffiti battle on an egg. 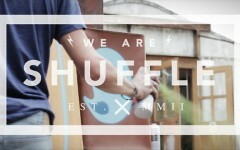 Now, some of you may be wondering what on earth that means? Marcelina will take on Hicks as they both lay claim to half of the metre high egg sculpture, both aiming to capture the Baku skyline with their drawing/painting skills. The finished egg will be on display in Berkley Square during the Spring as part of The Big Egg Hunt Exhibition taking place around London. Afterwards, the egg will be auctioned off with the proceeds of the sale going to Action for Children and The Elephant Family.